Former Defense Secretary Leon Panetta said lawmakers should grant retired Marine Corps Gen. James Mattis a waiver to head the Pentagon under the incoming Donald Trump administration. Panetta, who formerly led the Defense Department under President Obama, told the Washington Post that the decades-old law that requires former military personnel to have been out of the service for at least seven years before heading the Pentagon was "arbitrary" and out of date. "That was in a time coming out of WWII when there was a tremendous reliance on military leadership during the war and a recognition that they were warriors while the people considering defense policy had to consider wider issues," Panetta said. "I believe that civilian control and civilian involvement in the Defense Department is an important principle, but I also don't think a military background should be disqualifying." 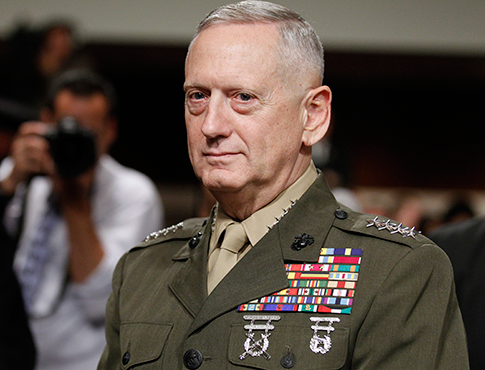 Mattis left the Marine Corps in 2013, requiring Congress under current law to carve out an exemption to grant the former commander of the U.S. Central Command the post as Pentagon chief. Panetta said while Congress should grant the waiver, lawmakers must make clear that Mattis "understands that he has to play a role not just on the military side but also on the civilian side." "I think he does," Panetta added. A vote on the waiver to allow Mattis to serve as secretary of defense is expected to sail through the House, but Senate Democrats could mount a campaign against the retired general to block his nomination. Republicans will need to recruit eight Democrats to meet the 60-vote threshold invoked by Sen. Kirstin Gillibrand (D., N.Y.), who has said she will oppose Mattis' nomination, to advance toward the confirmation of Mattis as defense secretary. This entry was posted in National Security and tagged Department of Defense, James Mattis, Leon Panetta, Secretary of Defense. Bookmark the permalink.